Over the last five fiscal years, ASBC* has donated/granted $1,016,552 to the local communities in which we serve. ASBC is committed to the mission of further developing the small business community and looks forward to continuous growth in this endeavor. Each year, ASBC links with organizations that are tied to economic development in their communities. Contact us today to find out if you qualify to submit an application. ASBC provided a grant to Innovation Depot located in Birmingham, Alabama. Innovation Depot strives to be the epicenter for technology, startups and entrepreneurs in the Birmingham region. Through their programs, Innovation Depot provides entrepreneurs with a competitive advantage in attracting talent, mentors, press, customers, and funding to grow their business. This grant will allow the production of the Alabama Upstarts television show to be completed, as well as support the 2018 Velocity Accelerator Investor Demo Day event scheduled for April 23, 2018. The television show will be in the style of “Shark Tank” and will feature Alabama startup technology companies pitching to a group of investors at Innovation Depot within their Velocity Accelerator space. The investors will be investing real money in the startups should they feel compelled. In addition, a portion of the funding will be used to support the Demo Day Investor event on April 23rd. Both activities are designed to increase awareness of the entrepreneurial ecosystem and generate increased investment activity in Alabama. ASBC provided a grant to the Arsenal Place located in Selma, Alabama. Arsenal Place is using this grant to provide operation costs for a new entrepreneurship and workforce training center. The center is focused on helping entrepreneurs grow their businesses and training the local workforce so that this region is attractive to outside companies. The new training center will provide a space for growing entrepreneurs to come and work. This space will be also known as a “maker space” for artisan type businesses. This center will help groups like this to obtain a more advanced skill set, making them marketable to employers. 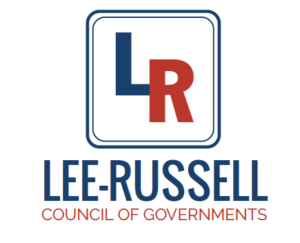 ASBC provided a donation to the Lee-Russell Council of Governments Area on Aging (LRCOG-AAA), a regional planning and development organization located in Opelika, AL. ASBC’s support will allow LRCOG-AAA to provide job training and skill enhancement services to senior citizens in Lee, Russell and Macon counties. Over the past 10 years, LRCOG-AAA has served over 80 participants through the US Senior Community Service Employment Program (SCSEP – click here for their website). To learn more about LRCOG-AAA, visit their website by clicking here.